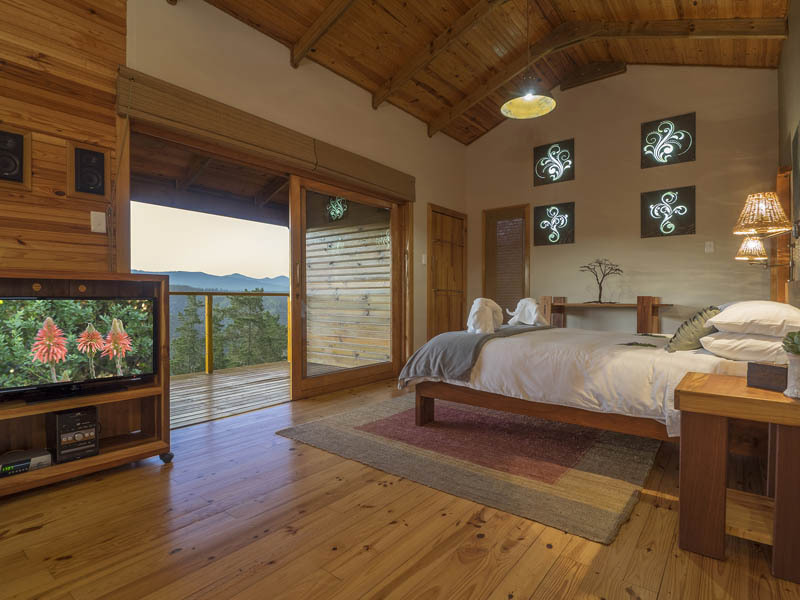 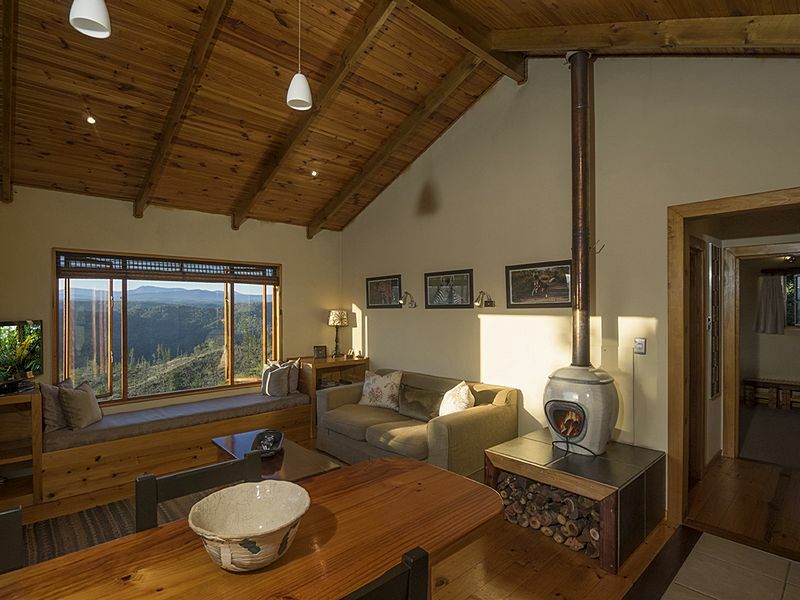 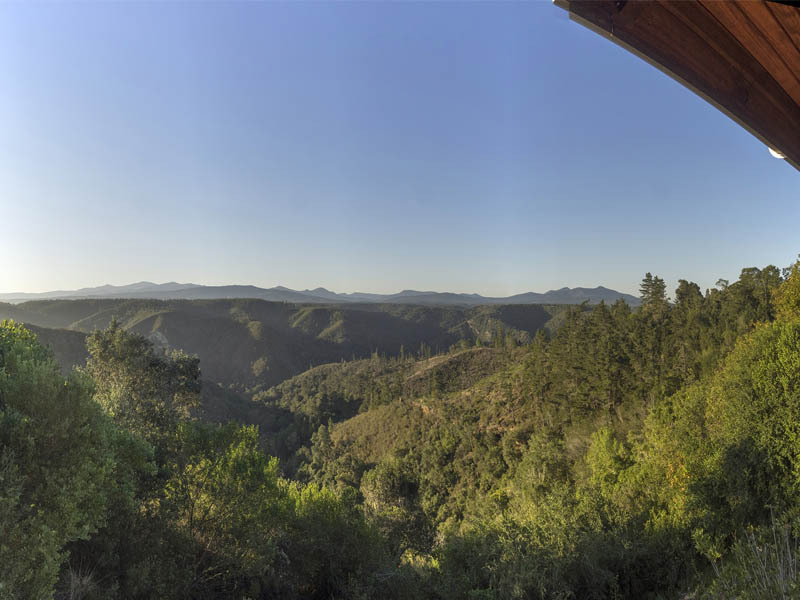 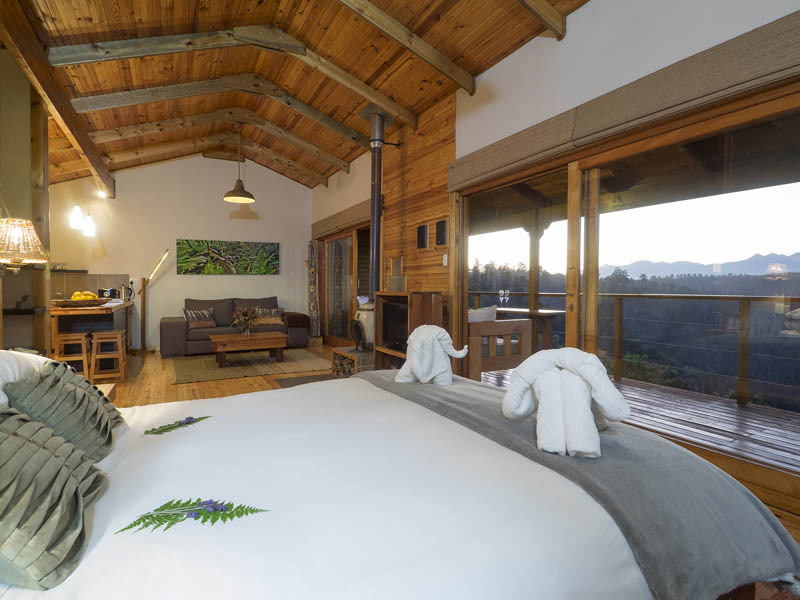 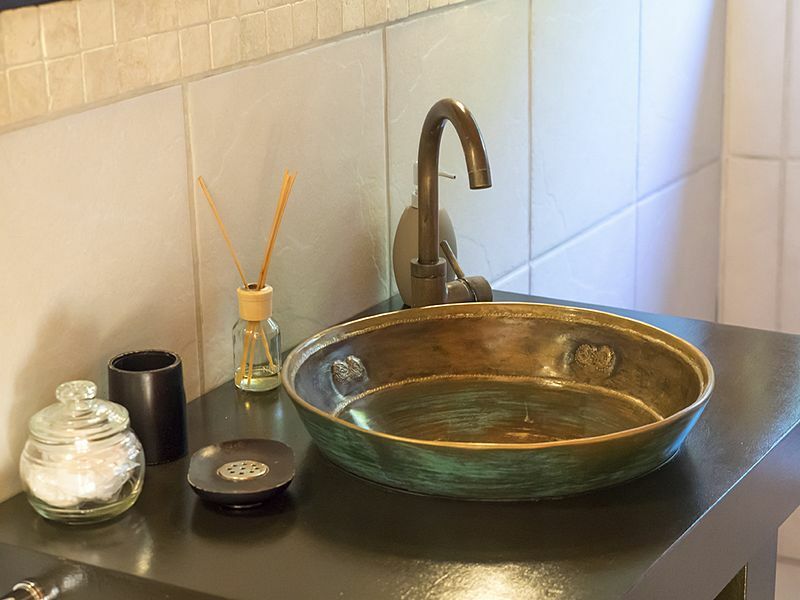 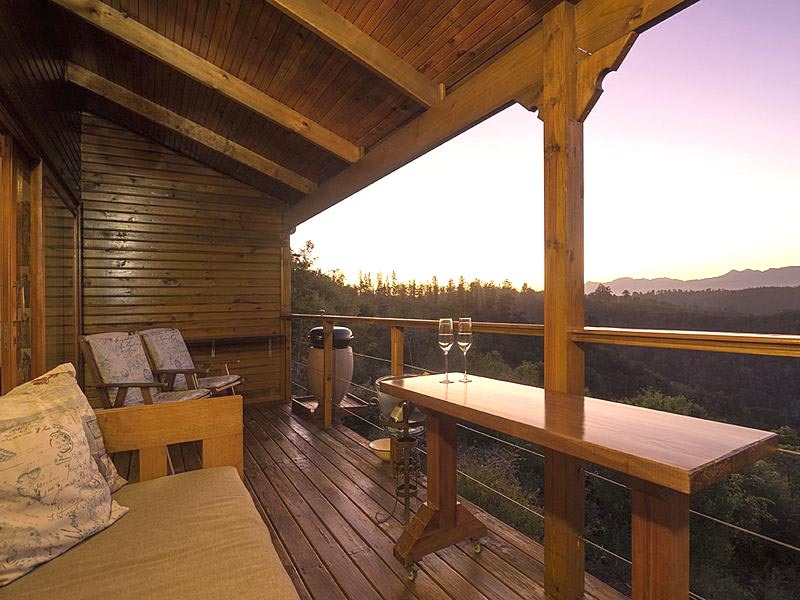 Self catering timber cottages on the Rheenendal Road, Knysna, Garden Route, South Africa. 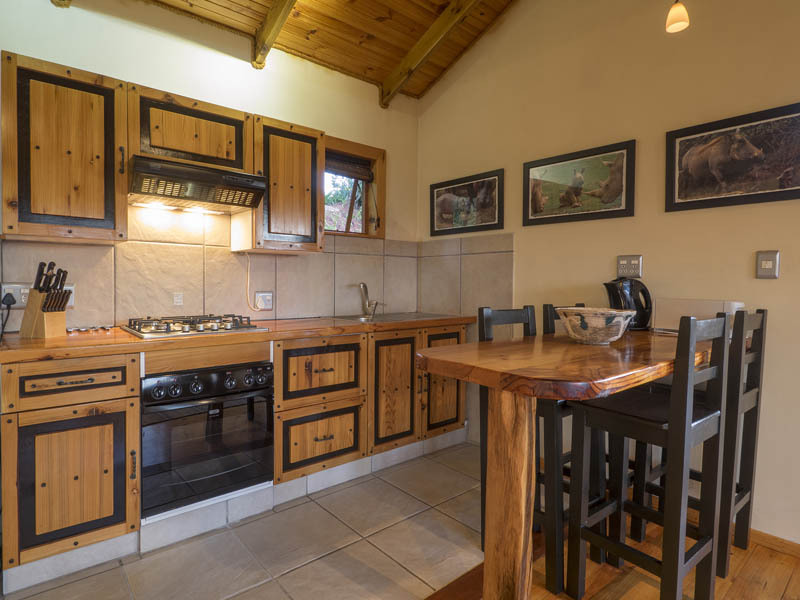 It is a very spacious chalet with one bedroom, bathroom with basin, w/c, bidet and a very large shower with a view.Open plan lounge, dining and fully equipped kitchen all warmed by a fire-pot on those chilly winter nights.A covered and semi enclosed deck with weber braai completes the picture.Tv, hifi, dvd and a satellite decoder. 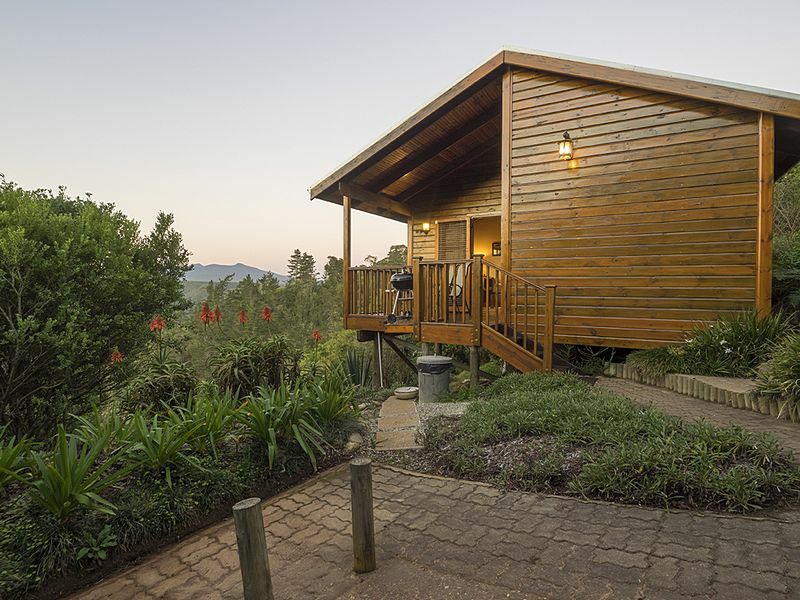 (bring own smart card). 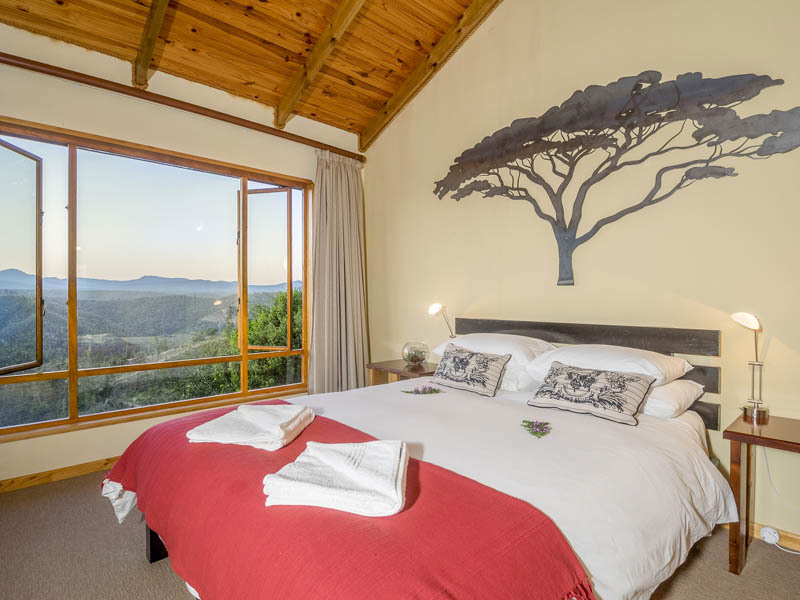 All rooms have large windows facing the panoramic views.Situated off the Rheenendal Road, it is very private yet only 15 minutes to the center of Knysna and a good swimming beach.